A few days ago, I made a repeat visit to a restaurant that I had already reviewed. I ordered a sandwich that is available either gluten free or non-gluten free. Of course, I ordered the gluten free version. As I was eating the sandwich, I suspected that I had been given the non-gluten free version due to feelings of discomfort. I went to the order station and asked if they would check my order. They were very responsive, and told me that I had not been given the gluten-free sandwich. The manager was called for. After the situation was explained to her, she immediately refunded the money I had paid for my lunch, and proceeded to give me a gift card. While I was talking with the manager, the employee who had taken my order came over, and apologized. She said she had taken my order and was very sorry for the error. I was impressed with their honesty, and willingness to admit their mistake. I inquired about the bun – and asked if it was a wheat bun. The good news was that – while the sandwich was not gluten free, it was on an oatmeal bun. The fact that I had not had a wheat bun, coupled with the fact that I carry medication that helps control symptoms if I run into trouble, meant that my discomfort was thankfully fairly limited. The response of the staff at the restaurant really de-fused what could have been a combative situation. While I was upset that the restaurant had made the error, I felt they did what they could to make things right. They didn’t try to blame me or cover up their error. What a good policy for a business to have! This entry was posted in Restaurant Review and tagged error in order, gluten free sandwich, good business policy, oatmeal bun on August 24, 2014 by goforsix. It may seem unnecessary to go to a dentist in Skokie, or a hairdresser in Evanston, since there are so many options closer to home. Besides my confidence in my dentist and my hairdresser, I like to have an excuse to go to Evanston, and try to co-ordinate my appointments in the area, leaving time for lunch, and a visit to one of my favorite antique shops, Secret Treasures. Often, my choice of restaurant is determined by where I can find a place to park. This last week, I was steps away from Lyfe Kitchen, and made that my stop for lunch. Approaching the entrance, I crossed the plaza of the building, which had quite a bit of outdoor seating for the restaurant. Once inside, I found the restaurant airy, urban, and inviting. “W and B” menu (for wine and beer). At the counter, I ordered a gluten free sandwich with grilled chicken and avocado. I was given a GPS device to take to my table to guide the server when she came with my order. 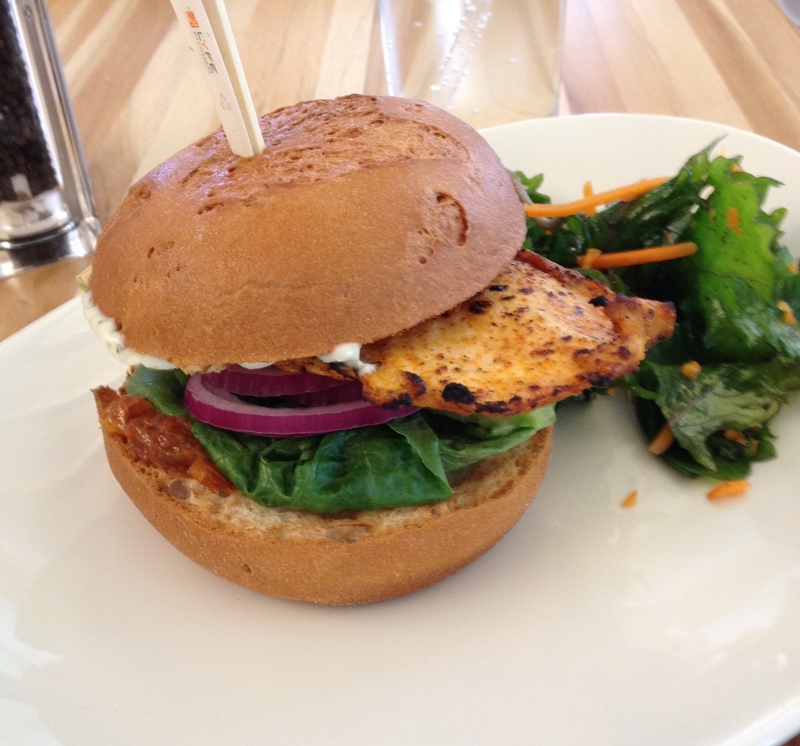 My sandwich was well-prepared – flavorful, and the chicken was not overcooked or rubbery. It was just a bit crispy, but tender. Perfect. The plate had a garnish of greens with carrot shaving. But that was all. I felt the plate should have had something more – maybe fries, chips, or a serving of salad. I left somewhat hungry. Once home, I checked the reviews for Lyfe Kitchen, and found several other reviewers with the same complaint – not enough to eat. One reviewer said the meal seemed more like an appetizer. I contacted the restaurant through their website, saying that they seemed to have so many things right, but felt that they need to provide the patron with a more generous serving of food. I was pleased to get a very prompt response, not just to my initial email, but also to the follow-up message I sent. The Evanston location is quite new. It has many things going for it, and seems to be a good fit with the Evanston market. It will be interesting to follow up and see if they provide a more generous meal. 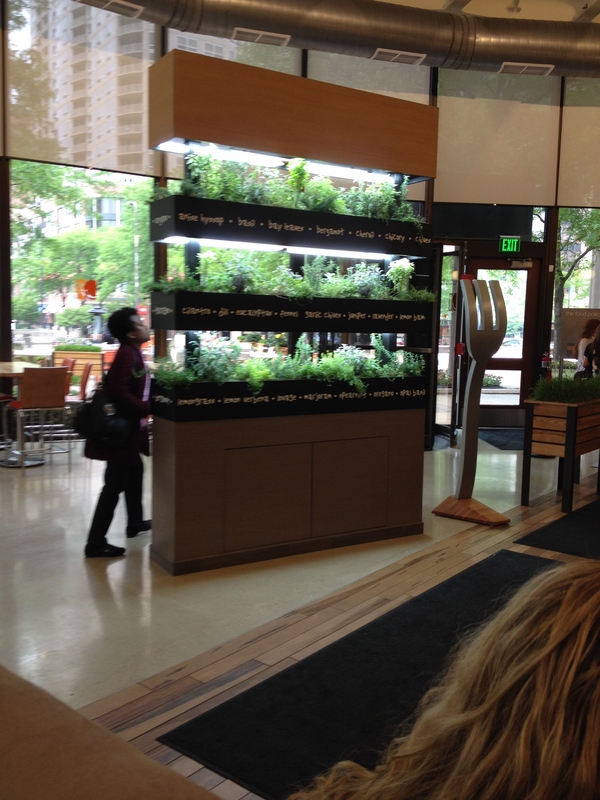 This entry was posted in Restaurant Review and tagged Evanston, gluten free, gluten free sandwich, Lyfe Kitchen, Secret Treasures on June 22, 2014 by goforsix.